Most popular antispam software (Spamassassin) integrated! You can also add your own blacklist and whitelist!. Access LDAP addressbook from Outlook (Express)! Well integrated with LSP! All windows users migrated from Windows will be added to both LMAIL public addressbook and LDAP Addressbook! You can access same public addressbook from both browser and Outlook (Express)! Just configure public addressbook from LMAIL management web page once, and LDAP addressbook will be synchronized automatically! Do you want to check all mails from any computer connected to the internet? 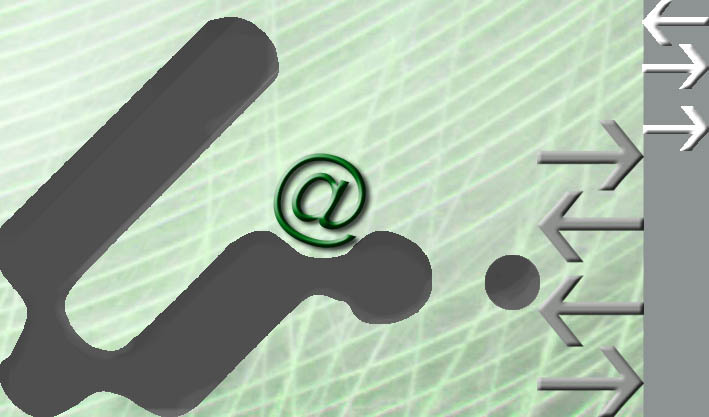 Offering your customers and employees access to their emails through your own web interface with your logos and colors? Yet tired of those expensive Microsoft solutions? How about thousands of your emails and hundreds of Addresses on Outlook (Outlook Express)? Worried about the security of your mail session? LAMIL is perfect solution to all issues! Installation takes only minutes, then use it as is or personalize it with a new look and your own logo/color. Get LMAIL Webmail for your employees or to your customers! 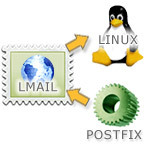 Based on Postfix mail server. Postfix server installed automatically through Browser. Mail server management not just a web mail system, but also mail server managment tool. Individual Quota: You can now configure individual user quota. Public Address Book, Public Mail Folder, Public Calendar! Mail Log Analysis: Analyze your daily /weekly/ monthly mail activity statistics! Cost much less than Microsoft Solution! Mail Search: Administer can search all stored emails by date, keyword, sender, receiver, and size. Brandable Interface: Configure your own logo, color, and message! 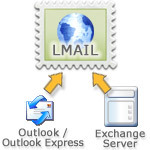 Import mails from Exchange Server, Outlook, Outlook Express, Sendmail (Mbox Format ), and Maildir Format! Mail Search: User can search emails by date, keyword, sender, receiver, and size. Required Platform: Latest Redhat, Turbolinux, Mandrake, and Suse. Copyright © 2012 das technology co., ltd. All rights reserved.